The Raspberry Pi 3 just got even more useful with the Creators Update, as Cortana support has come to the version of Windows 10 tailored for IoT devices. Windows 10 IoT Core now contains support for Cortana with the latest update which officially starts to roll out today, meaning that tinkerers will be able to use their Raspberry Pi 3 boards to build smart gadgets which are capable of accepting voice commands. They need to run Microsoft’s OS on the device, of course, as opposed to Linux (such as Raspbian, the Debian-based operating system specifically optimized for the Raspberry Pi). 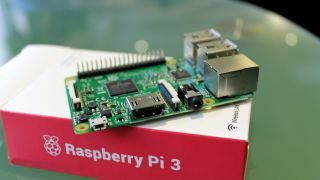 As PC World reports, the range of voice commands available to Raspberry Pi users will be similar to the way that the digital assistant works on the PC, and developers will be able to program various custom commands tied to whatever smart device they’re producing. This is all part of Microsoft’s big push to get Cortana into the smart home, and really, into as many peoples’ lives as the firm can possibly manage. With the Creators Update, Cortana is now supported not just on the Pi 3, but across a range of other mini-computers such as Intel’s Compute Sticks – and at the end of last year, Microsoft made it clear that the digital assistant would be coming to all Windows 10 IoT Core smart gadgets which have displays, from fridges to thermostats. That has meant adding new capabilities such as ‘far-field voice’ support which allows Cortana to recognize commands from a distance – around four meters away – and pick those commands up even with the background noise and chatter you might have in a typical home. This is all part of the battle lines which are currently being drawn between Cortana and other digital assistants such as Amazon’s Alexa, Google Assistant and Siri. But Microsoft is giving itself the best possible chance in making Cortana available not just across PCs, tablets, phones and its Xbox console, but also by maximizing the number of smart home devices that could potentially benefit from the integration of its voice assistant. Raspberry Pi support is certainly a big part of the latter puzzle. Want to do something neat with your Raspberry Pi?